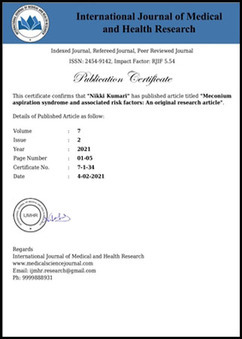 Abstract: There are hardly any studies to assess the prevalence in the rural regions of India. This study aims at assessing the prevalence of disease in rural areas of north India by targeting a small rural sector from north India. It also aims at identifying the potential risk factors associated with the disease in such a population. The ages of the patients are from 20-50 years. The data of the 320 patients undergone ultrasound scan for abdominal problems were collected. From these 50 patients were identified as having fatty liver diseases. The observation of fatty liver diseases in the selected patients is high. The prevalence of fatty liver diseases is more in females compared to males. It confirms the presence of risk factors such as: increased BMI, fasting blood glucose, and serum triglycerides, and the presence of metabolic syndrome in these patients. There is a compelling need for a reliable biomarker to differentiate hepatic steatosis from steatohepatitis. Ultrasonography remains the diagnostic tool of choice for detecting NAFLD in the rural setting even today.